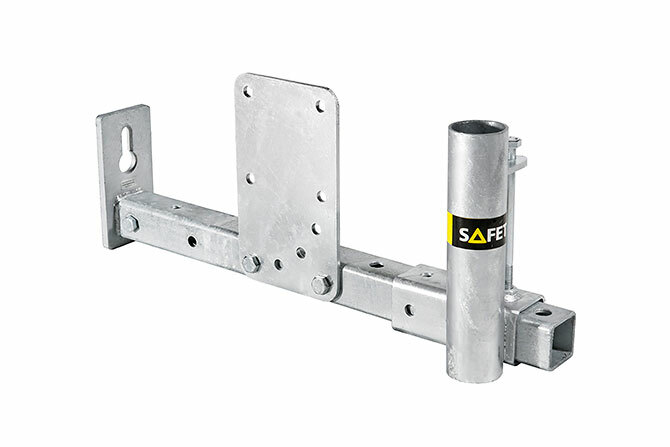 At eaves Flex eave bracket can be installed as an attachment for edge protection. 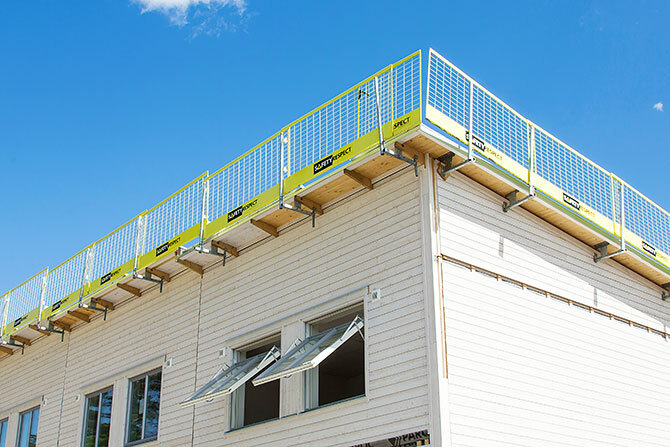 The attachment makes possible a free working space and the distance between the facade and edge protection can be adjusted during ongoing work. 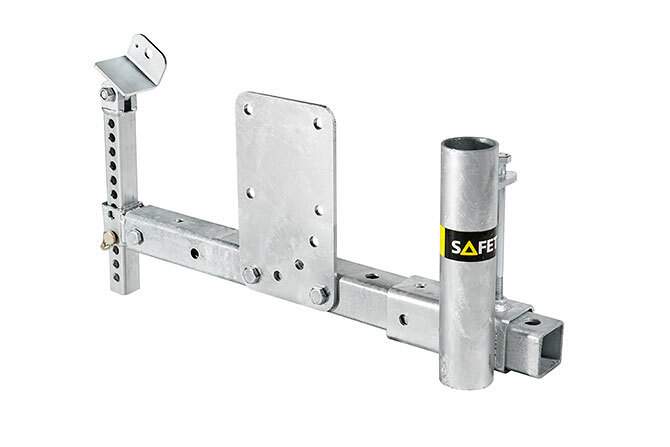 The bracket is installed with through bolt in the roof frame and supports even against the facade or the roof frame. 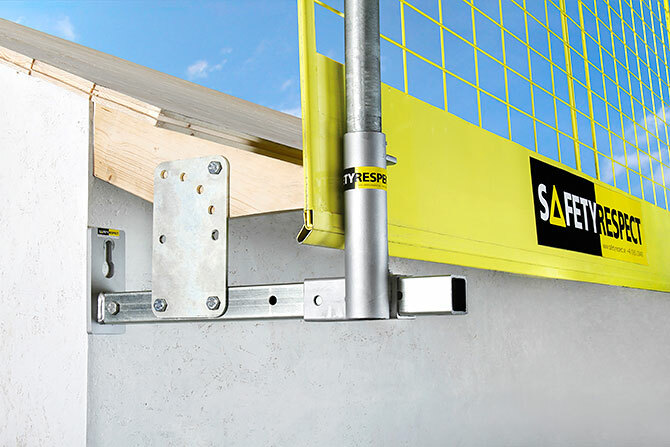 At the gables the Flex Gable Bracket can be installed as an attachment, which also creates a free working area. 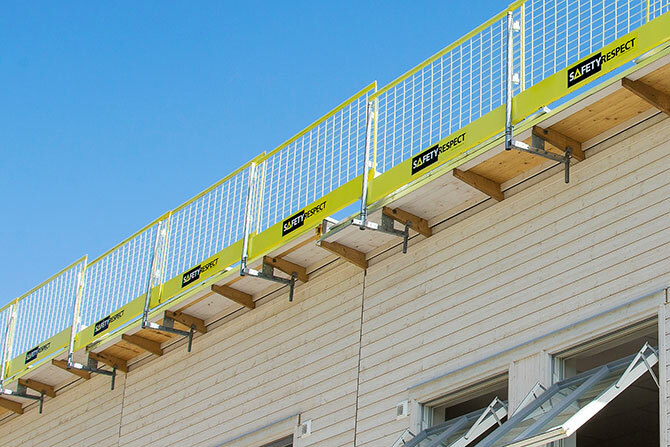 The distance between the facade and the edge protection can be adjusted during ongoing work. 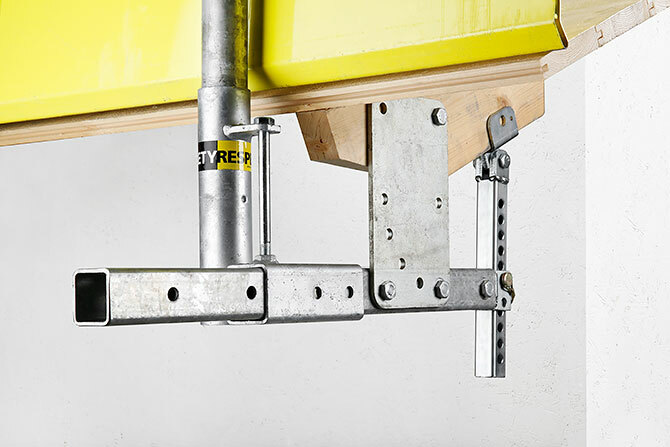 The attachment can be done in the roof base.